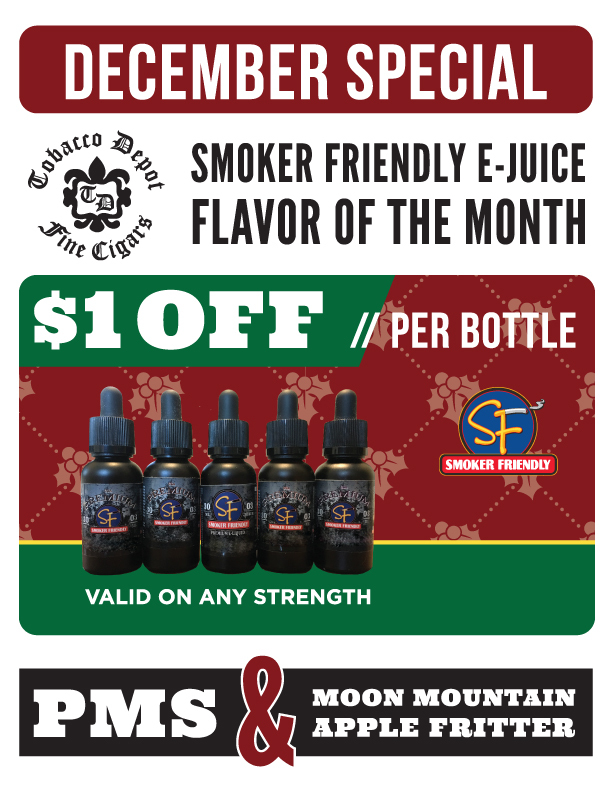 December 1st brings with it the first of our Smoker Friendly E-Juice Flavor of the Month specials, available at all Tobacco Depot stores. 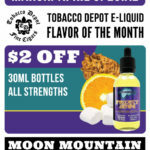 We’re actually making two flavors available for the December promotion: Get $1 off every bottle of PMS and Moon Mountain Apple Fritter at any nicotine strength. 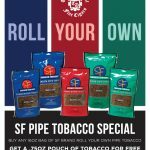 This offer expires on 12/31, but we’ll have a new flavor on special for January 2017.